Reagan administration, Archbishop Romero, Pope Francis: Roberto D’Aubuisson well-liked in '80s Washington. 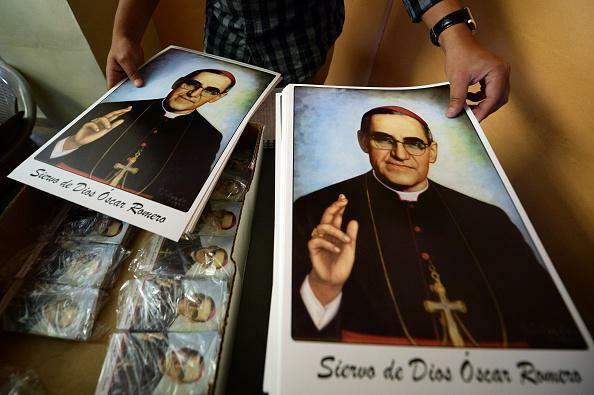 Pope Francis has declared that murdered El Salvador archbishop Oscar Romero is a martyr, a key step in Romero’s potential canonization as a saint. Romero has long been a controversial figure in the Vatican for his endorsement of “liberation theology,” a type of Catholic advocacy for the poor that some believe to be unacceptably Marxist. As The New Republic notes today, Romero’s murder also has a direct connection to American politics—his assassination was ordered by a death-squad leader named Roberto D’Aubuisson who was widely praised by prominent Republicans during the 1980s. After D’Aubuisson entered politics in 1982, then-U.S. Ambassador to El Salvador Deane R. Hinton called D’Aubuisson a “fine young Democrat,” later declaring him “an intelligent man” and a “dynamic leader.” Senator Jesse Helms was an unabashed supporter…Elliott Abrams, then assistant secretary of state for Human Rights and Humanitarian Affairs, told a congressional committee that the former army major was not an extremist because one would have to be “involved in murder” to earn that designation. Members of the Religious Right also offered their support to D’Aubuisson in the 1980s. Pat Robertson claimed to have gone to dinner with D’Aubuisson, calling him a “very nice fellow.” D’Aubuisson was honored at a 1984 dinner at the Capitol Hill Club by a number of conservative groups, including the Moral Majority, the National Pro-Life Action Committee, and The Washington Times. After D’Aubuisson died in 1992, a Los Angeles Times piece documented his connection to other Reagan-era Republicans. Later in 1980, D’Aubuisson received a sympathetic hearing from Lt. Gen. Daniel O. Graham, who worked on the Reagan foreign-policy transition team, and Roger Fontaine, who became a National Security Council staff member. The Cold War was quite a time, wasn’t it? Incidentally, Republican House speaker John Boehner announced today that Francis will address a joint session of Congress on Sept. 24, becoming the first ever pope to do so.